With shrinking organic reach on Facebook in light of the Facebook news feed change announcement, marketing agencies are having to focus on PPC advertising even more. Even in 2015, a Locowise study* found that, the average reach for posts from Facebook pages was 2.6% (of the the page’s likes). It’s statistics like this that explain why 93%** of social media advertisers use Facebook ads and surely this number is only going to grow. To get you started on the basics of Facebook advertising, we’ve put together an overview of all you need to know, whether you’re about to run your first ad on Facebook or want to understand how your marketing agency is running your Facebook ads. When you first enter your Facebook page’s Ads Manager, you’ll see four tabs. This is, unsurprisingly, an overview of all of your Facebook advertising activity. 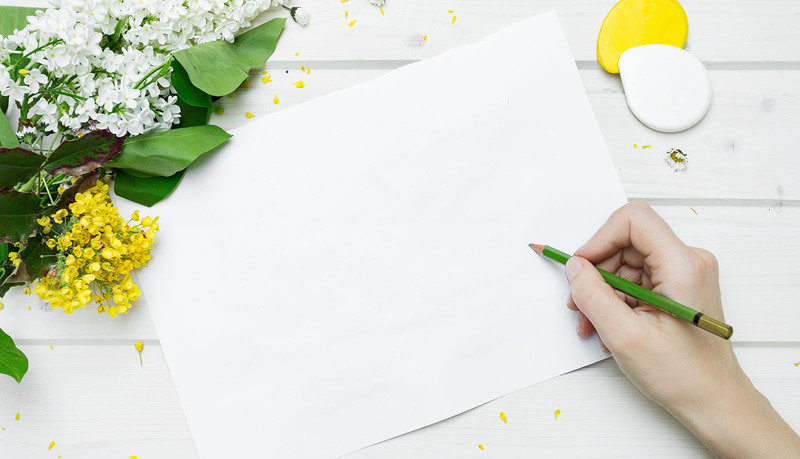 Campaigns are where you set the objective for a Facebook advertising campaign you want to run, for instance, it could be to get Facebook page likes. Each account is limited to 1000 campaigns – but unless you are a marketing agency with hundreds of clients, it will be quite difficult to reach that limit. 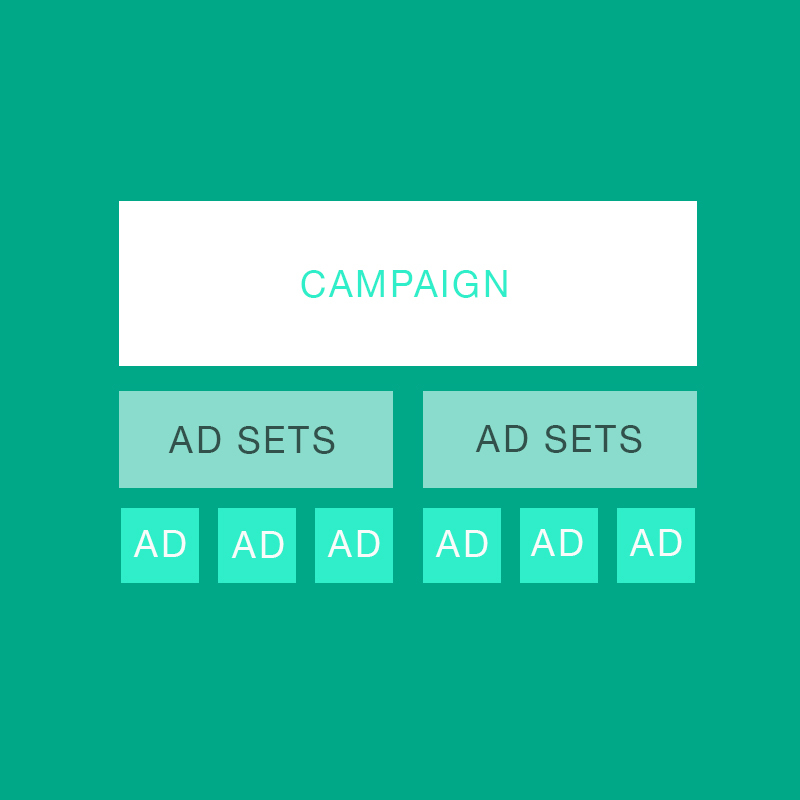 You can have multiple ads sets within one campaign. For each ad set, you’ll select an audience, budget, schedule and where you’d like the ad to run. You are limited to 1000 ad sets too. Within an ad set, you can have multiple ads. Each ad can have a different creative. It is recommended that you have multiple ad creatives so that Facebook can optimize for the best performing ads. You won’t be able to have more than 5000 ads on your account, but again, that is a lot of ads! When deciding who to target your ad to, you can select your audience based on location, age, gender, language and interests (as well as which device they are using). Location – this can be as specific as within 5km of your business or as vast as the whole of Europe. Age – you can target anyone from 18 years and up. However, there may be extra age restrictions for certain products in certain countries. Language – we don’t think this one needs explaining. Interests – You can reach people with very specific interests. This will adjust your potential reach but be careful you you always remain within the green section of the Audience Definition tab you’ll see on the right hand side. This ensures your reach isn’t too specific or too broad. Daily Budget – You should decide on your daily budget based on your monthly marketing budget. If you are unsure where to start, you can start low and increase your budget, if needed, based on your results. You could be spending a dollar a day, or you could be spending $30 a day, it completely depends on your budget, your goals and your results. As a marketing agency, we know the importance of tracking results. Tracking results is at the utmost importance as it can guide you in making changes to your ads and you can keep track of the numbers to report back to management (or to clients for a marketing agency). It’s important to make sure the money you are spending is giving you results. For instance, if you’re running a campaign for Facebook page likes and one of your ads has resulted in 50 new page likes in a week, you can measure that success on your evaluation of how much a Facebook page like is worth to your business in comparison to what you spent. If you spend $200 dollars for 5 new likes, that may not be money well spent. Or, if people have been led to your website’s contact page and have submitted the form, you can attach every dollar spent on Facebook to each of those potential customers filling out forms. Understanding Facebook advertising can take a while and knowing the best ways to track results certainly can. If you’d like to find out how your business can benefit from Facebook advertising, contact our Vancouver marketing agency office, or stop by – we always have chocolate! Facebook is changing again. What does it mean for marketers and small businesses?